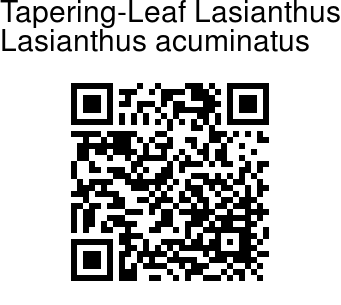 Tapering-Leaf Lasianthus is a large shrub. Leaves are up to 9 x 4 cm, elliptic, oblong, apiculate, hairless; nerves 4 pairs, prominent; nervules closely parallel; leaf-stalk 5-7 mm long; stipule triangular, pointed, hairless. Flowers are borne 1-3 together, stalkless; sepals pointed, triangular, hairy. 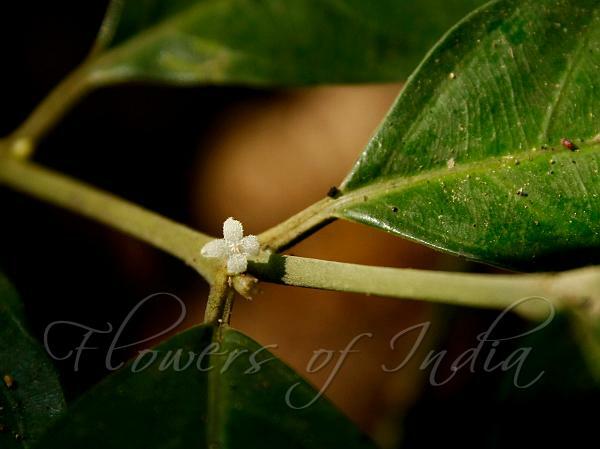 Flower are 8 mm long, white, tube slender, petals ovate, blunt, densely hairy. Fruit is 5 x 5 mm, spherical, hairless. Tapering-Leaf Lasianthus is endemic to southern Western Ghats. Flowering: May-November.